of people may be thinking that petrol and diesel engines are destined for the scrap heaps. However, the reality is quite different. Yes, the car industry is enjoying some remarkable change in the manufacturing of innovative automobiles, yet still, experts believe there is much more ahead for the industry. The recent Frankfurt Motor show in Germany has again been inundated by the need for electrification in the automotive industry. Brands like Volkswagen announced in certain terms that it would build electrified versions of every model under its range by 2030. Automotive powerhouse Daimler, the parent company of Mercedes also announced that it would have electric versions of its models by 2022. Although electrification has been gaining popularity in the automobile world, this trend equally comes with a lot of limitations, as countries will have to start investing in infrastructures that will fuel electric vehicles. While electric car enthusiasts are anxiously rooting for this technology, it is important to note that electrification will have to wait a little longer before it finally kicks diesel and petrol engines to the back burner. While automobile companies are embracing this technology, they aren’t looking to get rid of diesel or petrol engines. They are simply promising to manufacture electric versions of all their car brands. For people who have little knowledge of the technology, it is important to know that while electric vehicles can be referred to as fully electric battery powered cars, they can also be used to describe hybrid-powered cars. Anyone who knows anything about hybrid cars, will inform you that hybrid comes in many forms. For instance, plug-in hybrid comes with a large battery capacity and can entirely run on electric power for some time, although it also has a petroleum engine. There are also full hybrid electric car like the Toyota Prius that powers electric motors with a conventional engine. The difference with this type of electric car is that you don’t need to plug it in for a recharge. 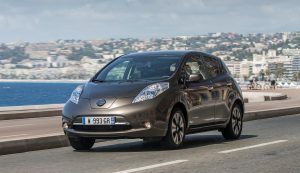 For people who may wonder why it will take some time before cars become fully electric, it’s mainly due to the fact there are several laws that comes with the adoption of a new technology. Governments have to invest into infrastructures that support electric vehicles, which is costly and time consuming.